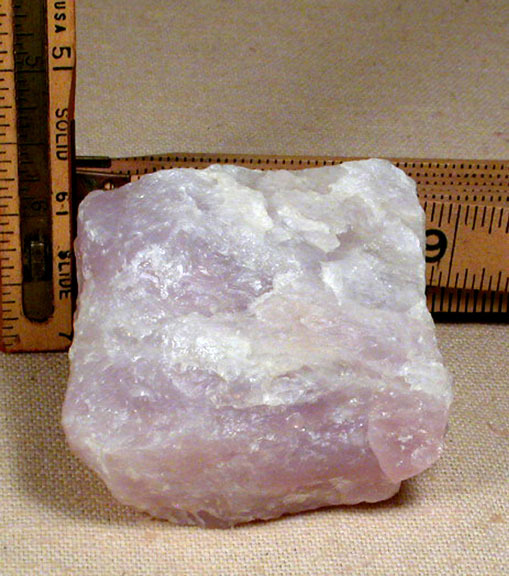 From a small find at an un-named and closed California claim, here is a rare lavender to pale orchid colored lavender rose quartz rough. Lithium, the happy inclusion, changes rose quartz to lilac...the yin/yang in a neat 2-1/4x 1-1/2x 2-3/4" package. A tiny rainbow; milk quartz band; gemmy, cuttable areas.